ESPN wanted to host a unique, full-service VIP pre-game hospitality event. 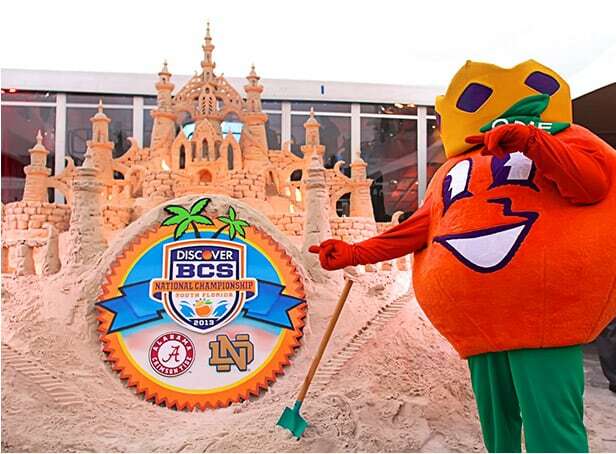 To be held on the grounds of Sun-Life Stadium, at the BCS National Championship Game. Innovative Group designed, developed and constructed a double-decker glass enclosed 132' x 88' tent. 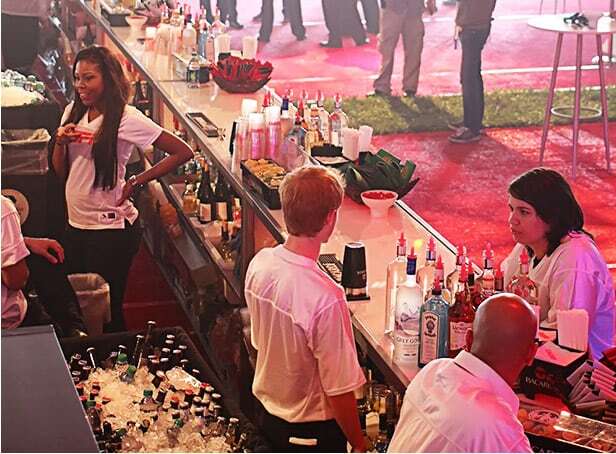 The venue included a second floor mezzanine, multiple lounge areas, outdoor patio, arena sized 360 degree video scoreboard, 100' fashion show runway, football themed tasting menu, and performance stage. Catering to over 1,000 guests, the tent became the place to be with headline entertainment from The Fray, Cirque De Soleil, South Beach inspired hip-hop violinists, and a 60 person gospel choir to wrap up the event. 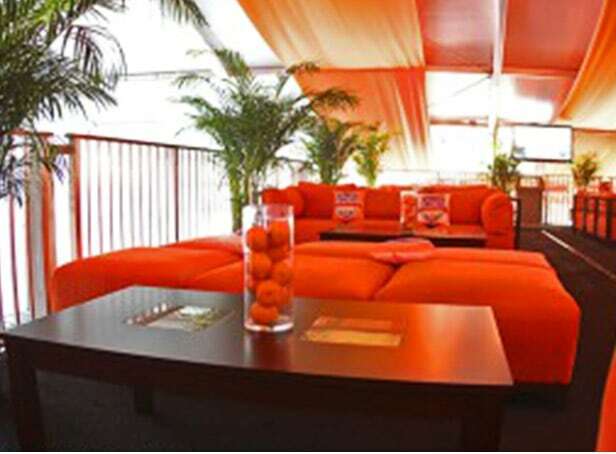 Custom branded ESPN items adorned the entire carpeted tent on both levels, while the 3-ton custom made sand castle served as the perfect welcoming attraction. IG didn't just take the ball and run with it. We scored a huge win. Both ESPN Guests and VIPs were thrilled with the pre-game event, and an incredible time was had by everyone in attendance.